Is It Necessary to Pasteurize Beer? Pasteurization is the process of heating beer to a temperature that will kill any living microbes. It is used by some brewers to sterilize and stabilize their product without changing the chemistry or flavor. Why Is Pasteurizing Beer Important? Pasteurization has been used for hundreds of years to prevent food spoilage and the modern technique was perfected by Louis Pasteur. "I have found that by my new process the beer produced possesses in an eminent degree the capacity of unchangeableness, and can be transported without detriment or deterioration." When pasteurization was introduced to the brewing industry, it was revolutionary. Refrigeration was uncommon and beer had a tendency to spoil and the chance of infections from packaged beer was high. Is Pasteurized Beer Any Good? In Pasteur's time, it was probably a very good idea to sterilize every product that was meant for long-term storage, mass distribution, and consumption. Times have changed and technology has improved and some people in the modern beer community decry the process of pasteurization. Today's brewers take extra efforts to sterilize their entire production and keep sanitary standards at a level that has never been seen before. Refrigeration is also no longer an issue anywhere in the production or distribution of beer. There is very little chance that an unpasteurized beer will spoil before it reaches the consumer. Those who prefer unpasteurized beers say that the process gives the brew a 'burnt sugar' flavor. They feel that pasteurization and too much filtering ruins the true flavor of the beer. However, without a side-by-side comparison of a pasteurized and unpasteurized sample of the same beer, these changes of flavor are speculation. What we do know is that beer and the yeast that is still present in it after fermentation is a living thing. It will change over time, but our modern society has ways to slow this down significantly. Unlike milk and other products in which pasteurization is generally considered a very good practice, pasteurizing beer is not as crucial as it once was. If a brewer feels that the technique's protection is a good thing for their beer, then the taste is not going to matter because it will become the profile of their beer anyway. It is unlikely that a brewer who decides to pasteurize today will not pasteurize next month's batch, so the consumer will not notice the difference. Homebrewers also face the question of whether or not they should pasteurize. The general consensus is 'don't' for the primary reason that small batch beers that will be stored properly and consumed quickly have no need for this extra step. Consumers who have a yeast intolerance or allergy should take care when exploring beers. Seek professional advice about the specifics, of course, but be aware that many craft brewers do not pasteurize or filter their beers. Also, some brewers 'bottle condition' their beers and this means that additional yeast is added to the bottle to continue fermentation and maturation. Those with live yeast allergies should avoid these. How Do I Brew a Beer Using Chili Peppers? 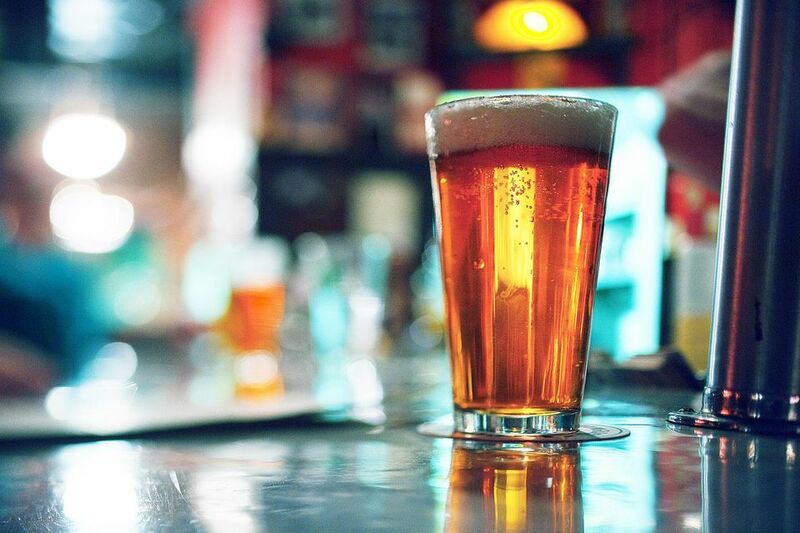 What Did Ben Franklin Really Say About Beer? Can I Drink That White Stuff in the Bottom of My Beer Bottle? Why Do Some Brewers Use Rice or Corn in Their Beer?